My clients love a beach break from their mid-West home in Kansas, enjoying the sandy beaches of our island! 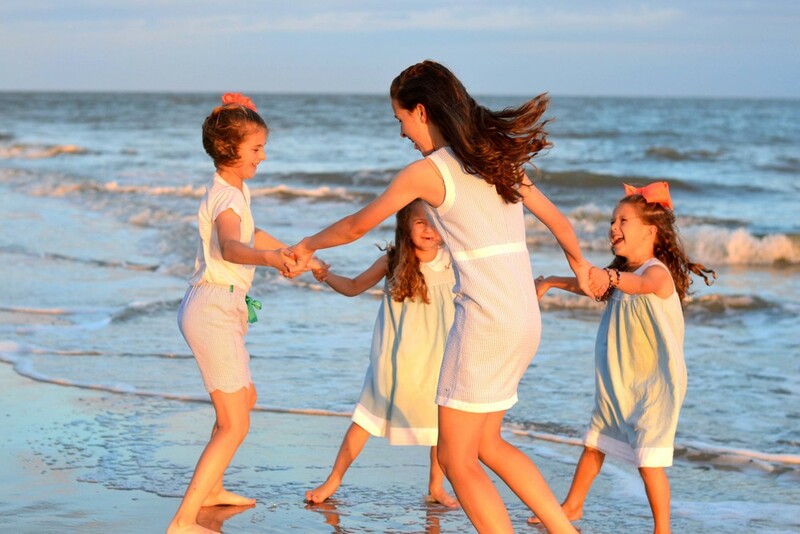 The girls really enjoyed our beach shoot, jumping for joy, playing ring-around-the-rosy, and being silly. 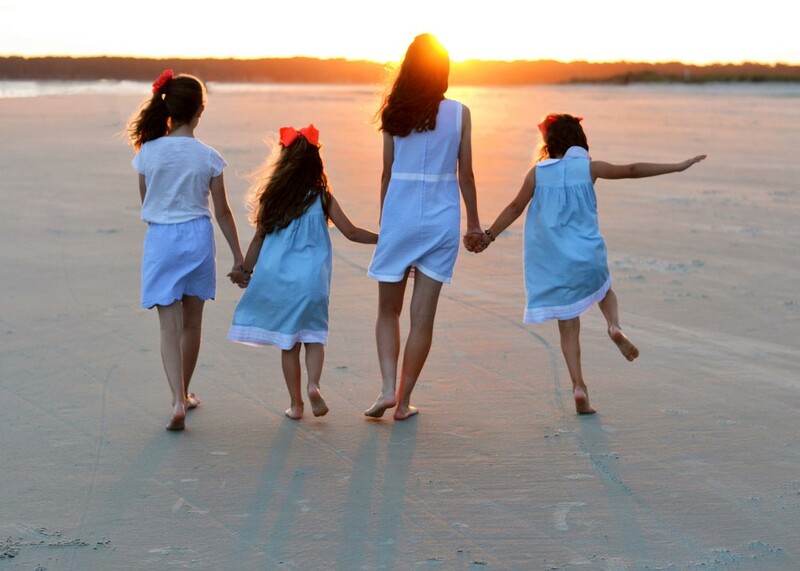 Mom picked out some perfect colors for the beach, adding a pop of coral to accent their outfits! No ruby red slippers though, they would have gotten a bit sandy.